A Modern American Classic...offering quality, design and value while capturing the essence of an active, adventurous and spirited lifestyle. Today, Nautica is one of the most recognized American brands throughout the world. Our premium products bring comfort and style with classic designs to your bedroom. 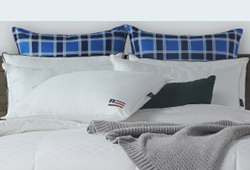 Wrap yourself in the ultimate luxury bedding with a Nautica white duck down comforter. 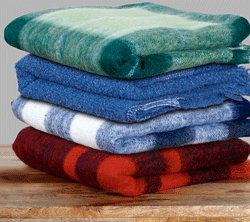 Down is nature’s most effective insulator, providing the perfect amount of warmth for year-round comfort. 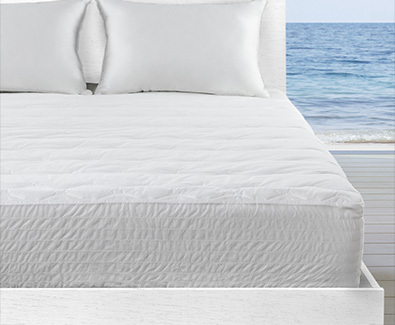 Enjoy a luxurious night's sleep with a luxurious mattress pad from Nautica. 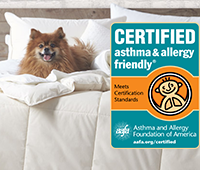 Each mattress pad features a Expand-A-Grip® skirt that goes on easily and stays in place as you sleep. Generously filled and luxurious, Nautica premium pillows will help power your day with a good night's sleep. Available in various sizes, sleep positions and fill types to fit your sleep needs. Enjoy Nautica at home. 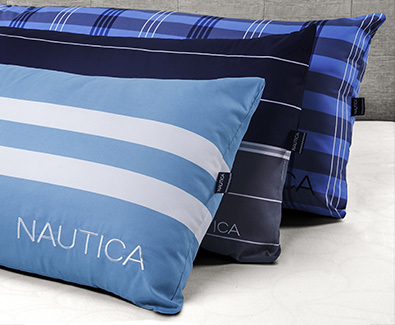 Founded in 1983, Nautica is a leading global lifestyle brand, which includes home bedding collections such as pillows, comforters and mattress pads. As a nautical-influenced classic American brand, we inspire and enable people to experience the joy of water.